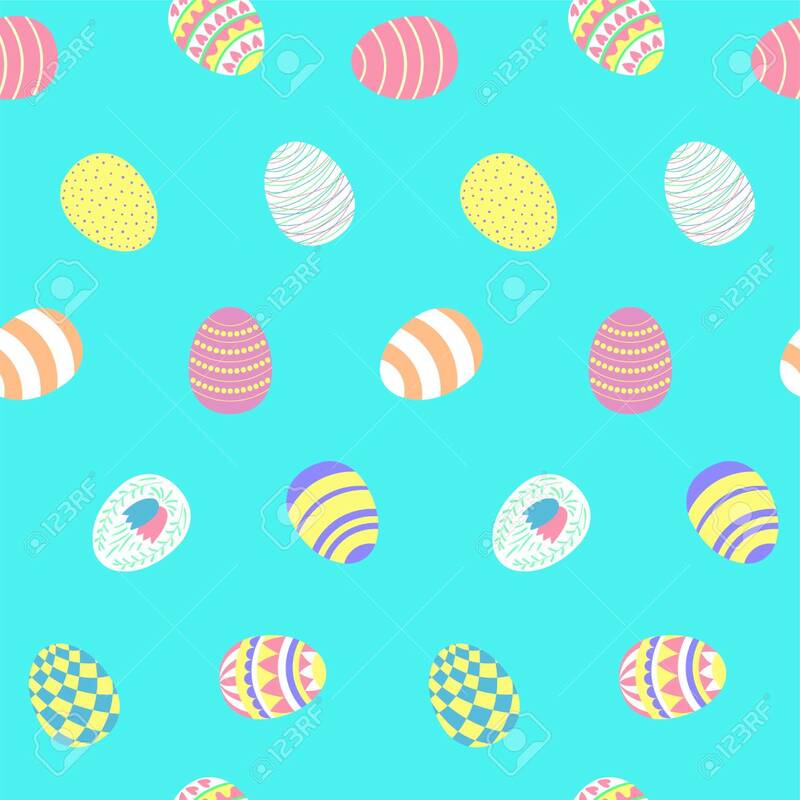 Hand Drawn Seamless Vector Pattern With Different Easter Eggs, On A Blue Background. Design Concept For Easter Celebration, Kids Textile Print, Wallpaper, Wrapping Paper. Royalty Free Kliparty, Vektory A Ilustrace. Image 94932674. Reklamní fotografie - Hand drawn seamless vector pattern with different Easter eggs, on a blue background. Design concept for Easter celebration, kids textile print, wallpaper, wrapping paper.